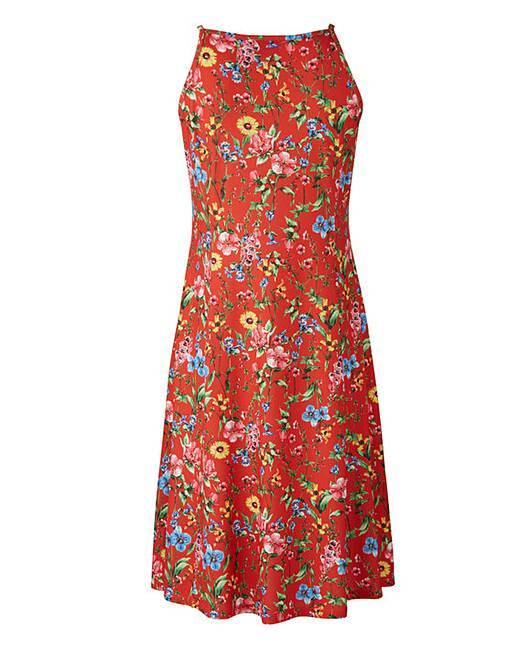 Red Floral Cami Skater Dress is rated 4.4 out of 5 by 24. 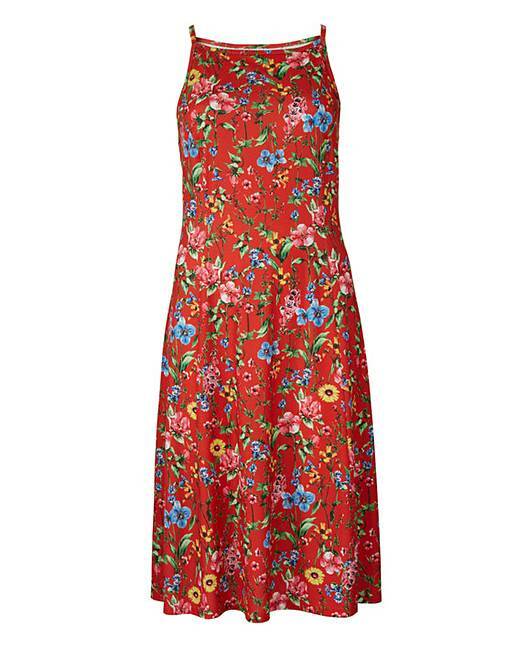 A fabulous throw-on summer dress. This easy to wear piece is perfect for these warmer months. 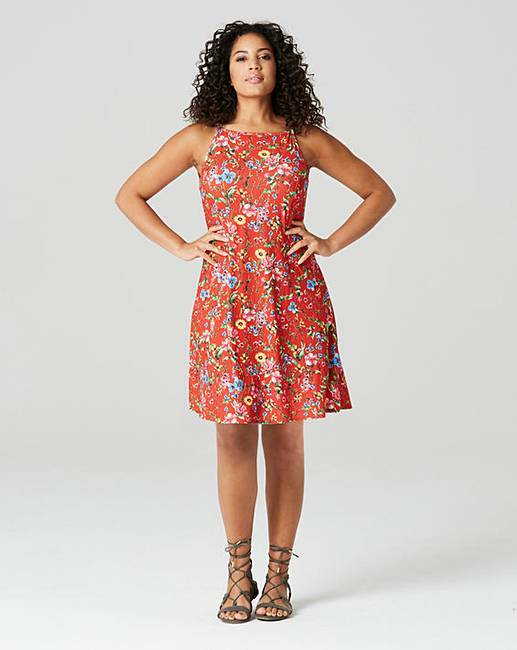 This is a sleeveless jersey stretch cami dress in a fit and flare silhouette. Rated 4 out of 5 by Andrea A from Lovely dress Such a nice dress, no complaints. 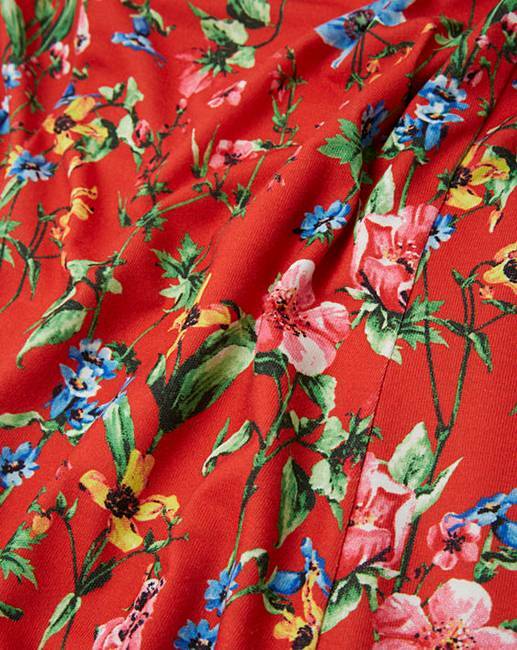 The fabric is soft and it goes well with a cardy, blazer or jacket. Rated 5 out of 5 by Nicola from Great fit Lovely dress, I wear it over leggings and a bolero cardi, it looks great, feels great and I've had lovely remarks from friends about it. Love that I got this in the sale. Recommended. Rated 4 out of 5 by Gem7 from Good for holidays Bought for holiday. Nice fit. Material good for warmer climates. Bit snug in chest area but overall good. Rated 5 out of 5 by ChicChick from Lovely dress Skater dresses are my fave and I'm really pleased with this one. Flattering fit and really soft material. Rated 5 out of 5 by Peachy1962 from Fab I love this dress. Felt very comfortable wearing it.